﻿ The Okura Prestige Bangkok (Thailand) | FROM $166 - SAVE ON AGODA! "Friendly staff, amazing service, and great restaurants." 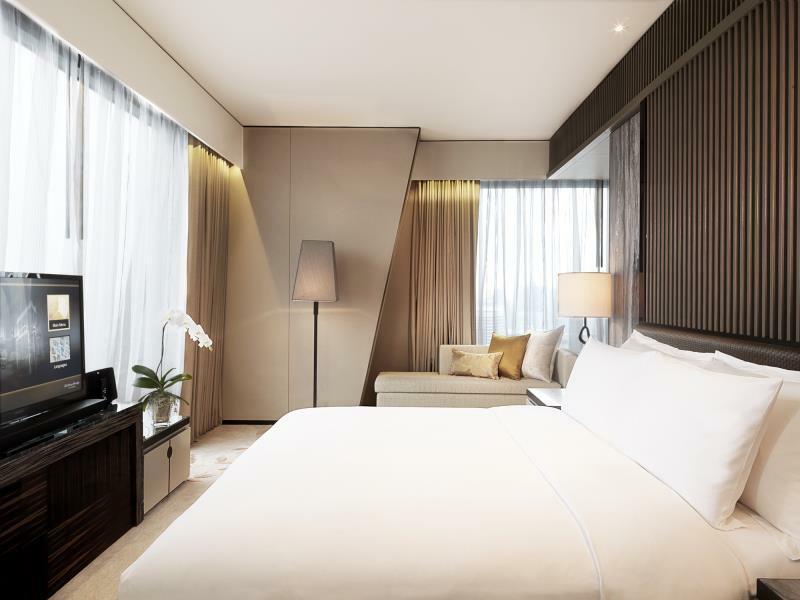 Have a question for The Okura Prestige Bangkok? "Great facility with swimming pool and gym." 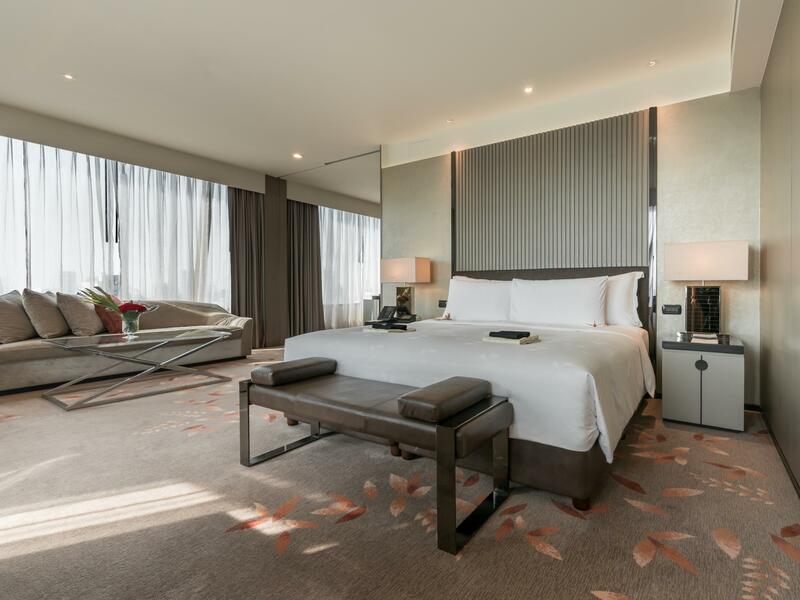 "Spacious room, elegant, excellent infinity pool with night view"
"Location and surrounding areas, food and hotel services were..."
For impeccable service and a truly grand getaway, visit the Okura Prestige Bangkok. The rooms here overlook the city, giving you picturesque views of the area. This property is near Central Embassy, All Seasons Place, Zantino Tailor, ANS International Custom Tailors, and Central Plaza Chidlom. Featuring a fitness center, a sauna, an outdoor swimming pool, a hot tub, and a spa, it has everything you will need to make your stay as enjoyable as can be. It has a bar, a coffee shop, restaurants on the property, BBQ facilities, and a poolside bar, so there is a selection of dining and snacking choices. 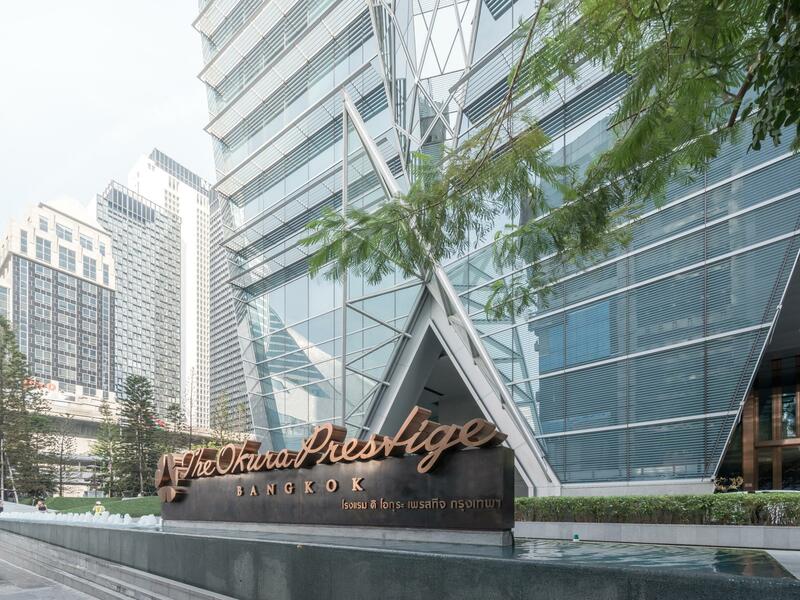 The Okura Prestige Bangkok has various convenient features, such as shops, a currency exchange, a shrine, and a smoking area. Equipped with a kids club, it offers parents a secure childcare option to keep their children busy. If you want to spend the day simply relaxing and unwinding, you can get a massage nearby. 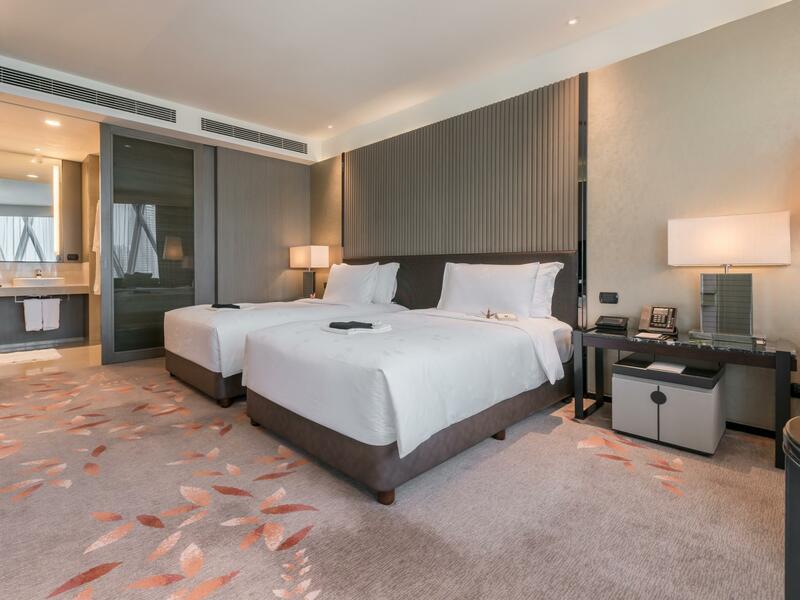 Offering guided tours, the Okura Prestige Bangkok is a great spot to stay to learn about the area and see everything you can while you're here. 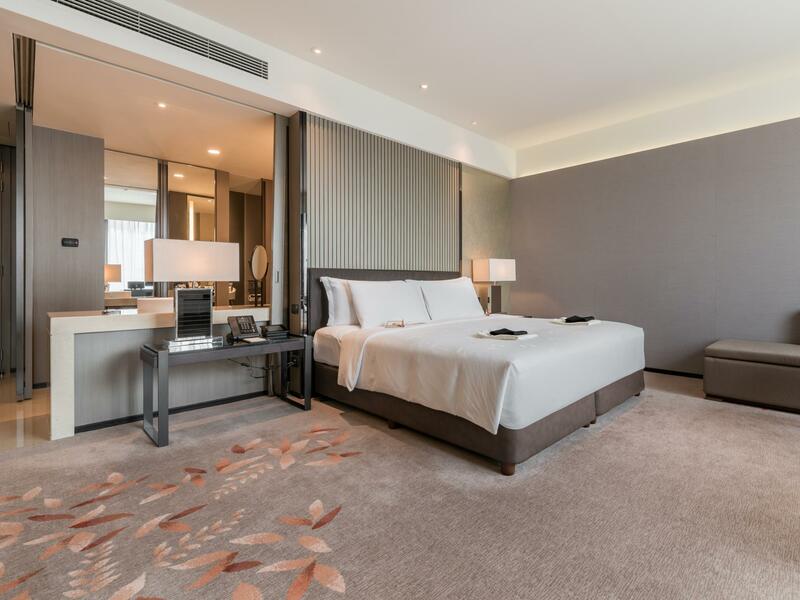 From a concierge to a babysitting service, the Okura Prestige Bangkok has numerous useful services, ensuring that you get the most out of your visit to Wireless. There's free Wi-Fi in all rooms, as well as Wi-Fi in common areas, ensuring that visitors are always able to contact their friends and family back home without splashing out on data and roaming costs. The front desk is open at all hours, so there is always someone behind the desk to help with any questions that you have. The property offers express, private, and 24-hour check in and check out, enabling you to conveniently use the option that best suits your schedule. It has an assortment of transportation options including airport transfers, shuttle services, and car rentals. Phloen Chit BTS Station is 130 m away and Chit Lom BTS Station is 540 m away. The nearest airports are Don Mueang International Airport (DMK) and Suvarnabhumi International Airport (BKK), which are 20.1 km and 22.7 km away. "Great stay, that pool is worth the detour." Enjoy our every moment in the hotel, friendly and attentive staff, nice room, good location (near to phloem chit BTS station, opposite central embassy shopping mall). Definitely will stay this hotel during my next Bangkok trip. The hotel is gorgeous in its presentation and really gives off a 5 star feel. The only minor thing that put me off this hotel was the indirect treatment and passive judgemental culture we received. To put things in prospective, this was my last destination after travelling for 4 weeks island hopping, so the clothes me and my wife have are mainly shorts/flip flops. When eating at the restaurant, they assumed we were not staying at the hotel. We found flip flops are not allowed in the restaurant. Same thing happened at Spa/swimming pool. I understand that this hotel mainly caters to Japanese Business men in suits, so this may have been an oversight on my side. As a business hotel this place is great. Note: The lobby staff are really great. I've been bkk for many times and always tried new hotels but not this one, this is the first time i've been stay with The Okura in bkk. 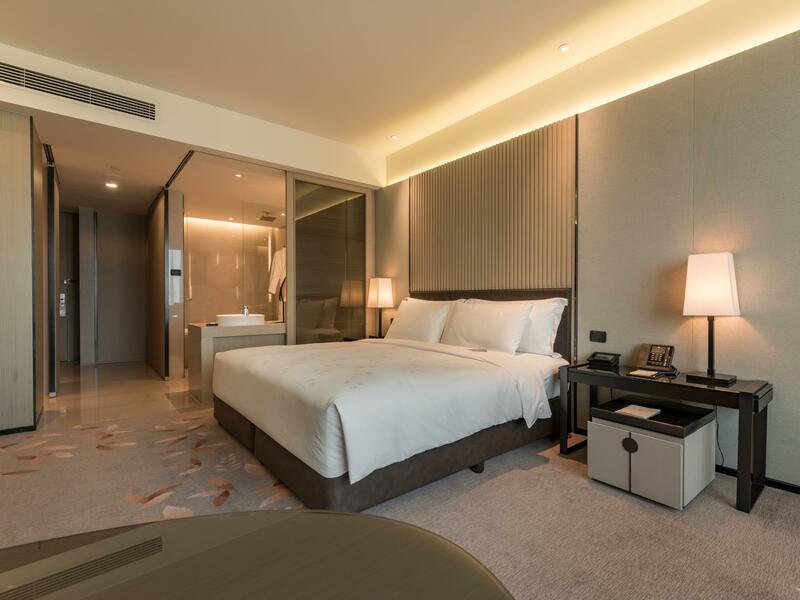 At first, i was not the amazed with the hotel design, as that gave me a lux business hotel feeling, that's not a problem, just less relax comparing with bkk leisure hotel. 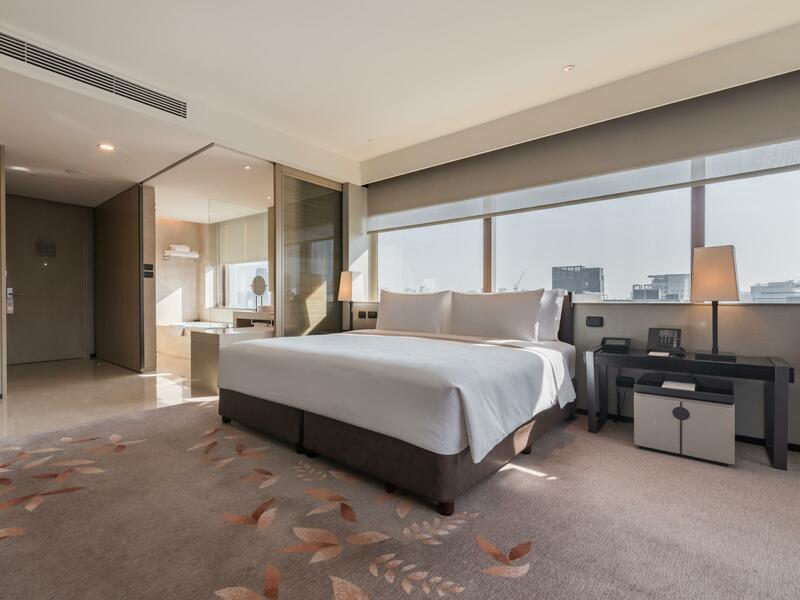 In terms of cleanliness, of course i have no doubt; location is perfect, as BTS, Central Embassy, Central World are all nearby and easy access on foot. Moreover, after two nights staying, plus the staff kindness & used of the swimming pool & gym room, the delicious and comfy Jap & international breakfast. Even the bellboy at the entrance are so friendly and helpful, the whole experience is just PERFECT! Last but not least, that's my birthday trip and the yummm choco birthday cake and handwriting card are so warm and nice treat to a guest! Warm welcome at the reception and a special early check-in arrangement. Helped me in my whole course when preparing for my girl friend's birthday. A nice cake and a birthday card with handwritten message were so heart-warming. The room was as great as usual, spacious, tidy, clean. Honestly, it's not cheap compared to other 5-star hotels in Bangkok, but it's worth every penny I spent. Very nice hotel to stay and good quality of Japanese Standard of service! Tasty breakfast and nice Swimming Pool! Room was very nice and comfort! Location just next to BTS station! Highly recommended and will stay here again! This is my 2nd stay in Bangkok Okura, even though i have stayed in Okura Hotel in Taipei and Sapporo. Location is just next to Phloen Chit station (fully sheltered walk way), next to shopping mall, and 2 stops to MBK, 3 stops to Siam Paragon, and there is literally no need for taxi (i avoid taxi in BKK due to the uncertainty of travel duration) BTS is most reliable. Hotel room is very comfortable, and layout is well thought of, sheets are so soft that you would love it. Amenities range are more than what you would need - they even have dental floss for your use! Green tea loose leaves with japanese tea set too! If you prefer room service dinner, order the Japanese bento set, superb ! I'll definitely stay in this hotel when i go back to BKK. excellent hotel. they spoiled us with free water which was very thoughtful as it was the peak of summer. left the safe open by accident and they informed us - the locked it and accounted for all items inside. food was delicious and room was clean.. toilets were Japanese and warmed!! turn down service had cute origami cranes and pajamas! can say enough good things. i shall return. My second time to stay here. I come back for the unforgettable breakfast. The best ever have. Great variety and excellent quality. Also the staff and the location, unbeatable as well! Highly recommend. Will different type of pillow to choose!! Great location, friendly staff who make sure we were well looked after the whole time. CONS: Mattress is small fo over 6ft tall persons. Bed is uncomfortable. Bedsheets smells like 'dried under the sun'. Up & Above restaurant for buffet breakfast are disappointed below average for Thailand standard. Almost everything is tasteless. Yamazato is ok but not great. It's overated as well. Philips Senseo in room is cheap coffee. Clogged sink in bathroom. They never service for us. We received Harn Lotion Thailand for the 1st day they switched to Aromatherapy UK when we kept the Harn Lotion. There is a reading chair but no reading lamp provided. Room is dark & rundown. Some power socket damaged. Check out took us more than 15 mom waiting they only have one occupied staff at the concierge. PROS: Conveniently situated. Good isolated windows. Room is quiet. Good views. Staff were all friendly. Modern architecture but room isn't modern. High maintenance is required as room is becoming old and wears. Overpriced & overated hotel.